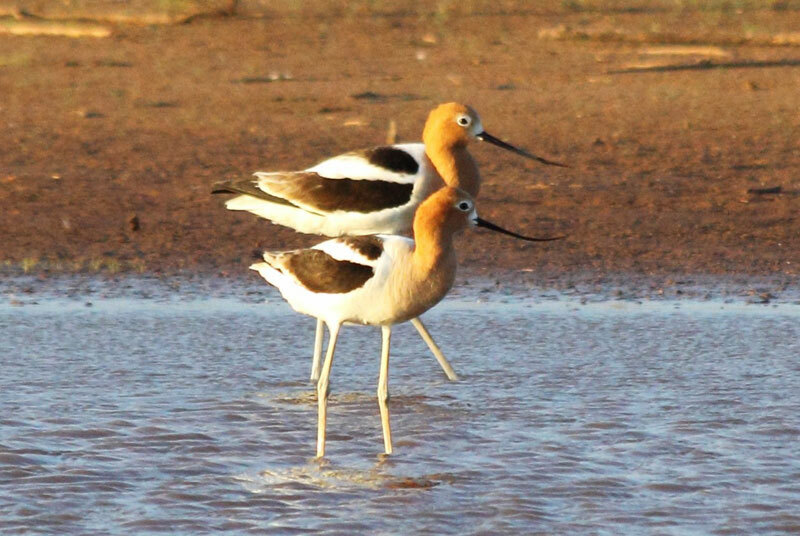 American Avocet - Tarrant Co., (Lake Benbrook), April 20, 2016 . One of the largest concentrations of this species ever observed in this region. American Avocet - May-6-2008 at Meadowmere Park on Lake Grapevine. Tarrant Co.
American Avocet (Recurvirostra americana) on nest. 22 June 1991. Pond north of Weinert, Texas. Haskell County. Weinert 079 Breeding Bird Survey route. Latilong Quad 19 Munday West - Texas Breeding Bird Atlas Project. American Avocet (Recurvirostra americana) nest with dark speckled eggs visible. (Same nest as previous photo) 22 June 1991. Pond north of Weinert, Texas. Haskell County. Weinert 079 Breeding Bird Survey route. Latilong Quad 19 Munday West - Texas Breeding Bird Atlas Project.